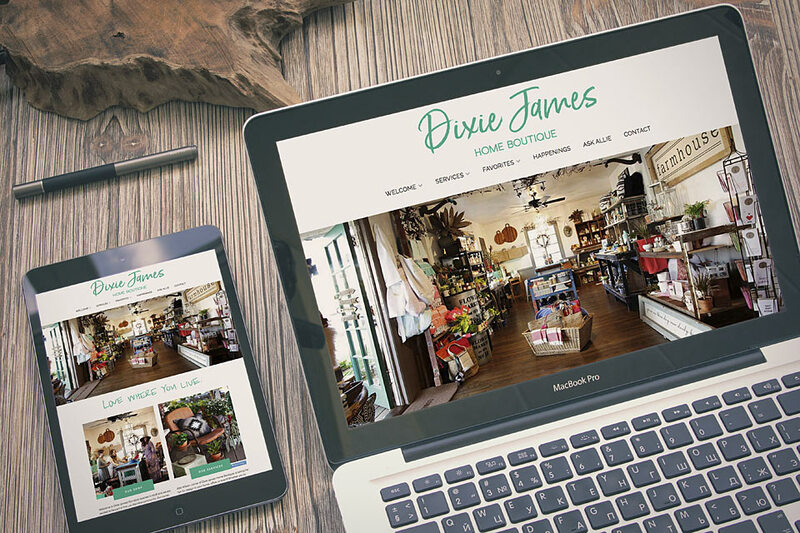 Dixie James Home Boutique was looking to establish their first online presence with an inviting visual focus. Big, bold images from a recent photo shoot were used on the homepage to highlight the fun, eclectic California nature of the shop and its owner Allie Wilson. A large photo gallery was also a priority, along with a funky events calendar for the goings on around the shop. Allie wanted to establish direct contact with her customers and clients, so several contact forms were implemented throughout the site. An “Ask Allie” question form invites customers to participate in her Q&A-style blog, and a larger, more thorough form allows potential clients to request a consultation. The mailing list implementation was the final addition, with a subtle “subscribe” area placed in the footer, along with her social media links.